Have you ever taken Lewis Carroll’s advice and tried believing in “as many as six impossible things before breakfast?” You probably have without even realizing it; for instance, during your brainstorming meeting as you fiddle with your pencil and try to “think outside of the box,” racking your brain for creative ways to market your brand to an audience. 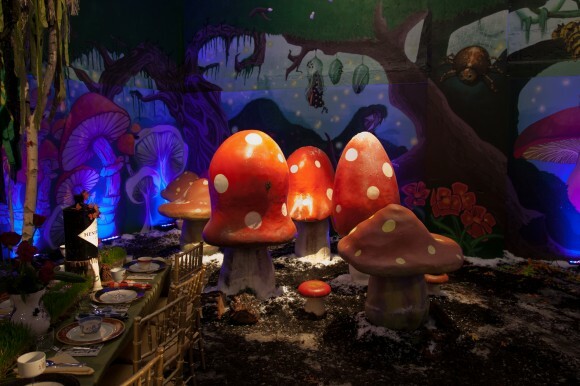 Well, here’s some inspiration for you… Imagine an enchanted forest growing inside of a warehouse, occupied by a bar built inside of a tree trunk measuring nearly 10 feet in circumference, a bearded lady serving cocktails out of a wishing well, a flourishing garden of giant sized mushrooms, a fountain of flowing water infused with cucumbers and rose petals, and wood sprites frolicking about, all the while paying no mind to the fact that it is snowing… indoors… as sparkling butterflies flutter from tree to tree. Hendrick’s did it. 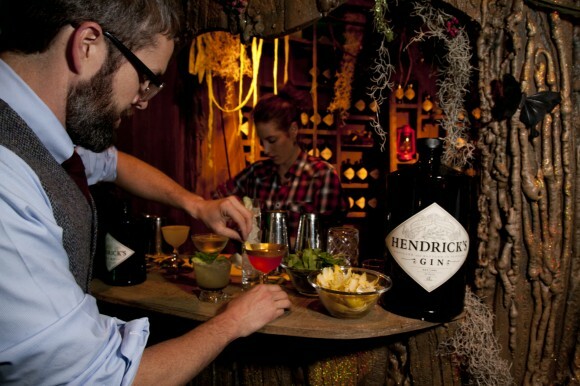 The delightfully curious Hendrick’s Gin (www.hendricksgin.com) – named the world’s best gin by the Wall Street Journal (www.online.wsj.com) – took creative thinking to a whole new level and proved that no idea is too outlandish. The French are coming. And the new breed of bar is on its way. High-end cocktail bars have been around for quite a while in the United States. In New York alone tropical Lani Kai (www.lanikainy.com), austere Death & Company (www.deathandcompany.com), tiki style Painkiller (www.PK-NY.com) and stylish Dram (www.drambar.com), to name a mere few, have set the standard in what people expect from a proper mixologist bar. 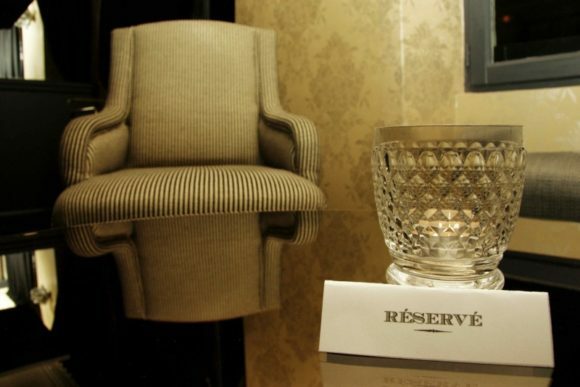 In other parts of the country too, like in Chicago at The Drawing Room (thedrchicago.com), these bars exemplify what is now the norm in cocktail culture in the United States; offering fresh ingredients, paying attention to glassware, drink specific ice, house infused spirits/ bitters and atmosphere to match. While a number of the new breed of American bars have embraced a singular spirit centric focus like punch pavilion Cienfuegos (rum; www.cienfuegosny.com) and Mexican style Mayahuel (tequila; www.mayahuelny.com) many still embrace Prohibition rooms as Milk & Honey (www.mlkhny.com/newyork) and PDT (www.pdtnyc.com). So are we ready for a European invasion that may challenge what we have thought should be a mixologist bar? What did you have for breakfast this morning? For lunch? For dinner? What was that midnight snack you scarfed down with some cocktails or a post-shift beer? Well, whatever it was its likely more food ingested at one meal than many underprivileged kids eat in a day. Did you think about this fact as you slurped down those oysters, chomped on that bacon, or twirled the other end of your French fry in ketchup? Probably not. And, while we’re not here to make you feel guilty for enjoying the food you can afford to put in front of you, we’d love to have you think about what you can do to help put food in front of 17 million American children who are at risk of going hungry every day. 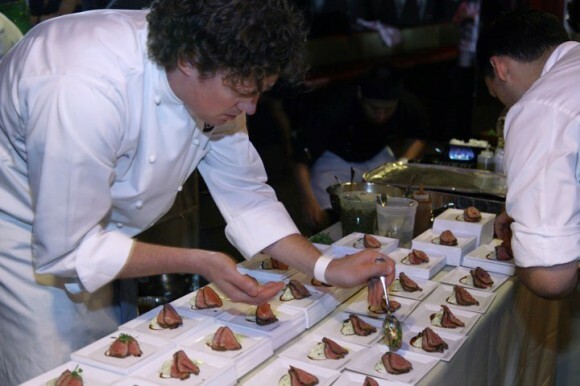 On Monday, May 23rd, join us for Taste of the Nation NY 2011 and put your ticket purchase to work towards an end to childhood hunger in America so that hungry children grow up to be well-fed productive members of society. Maybe next year you’ll even join us by participating in the event, but first, we’d just love to see you there Monday night. Nearly one in four kids in America can’t count on having enough to eat. Their bodies may not be rail thin, nor their bellies bloated like their counterparts in other countries, but they’re at risk of hunger all the same. They lack the energy to learn, grow and thrive. •	More than 17 million kids in America are at risk of hunger. That’s nearly 1 in 4. •	15.5 million kids in America live in poverty. •	20.1 million children benefit from SNAP (food stamps). •	19 million kids get a free or reduced-price school lunch on an average school day. •	Only 9.4 million kids get a free or reduced-price school breakfast on an average school day. •	Just 1 in 6 eligible kids get free summer meals. Sources: U.S. Dept. of Agriculture; U.S. Census Bureau; Food Research and Action Center.